Micromax, our very own smartphone manufacturer from India is pushing ahead to compete with others in the market and they seems to empower the local languages as they want a huge boost in rual areas of the country. 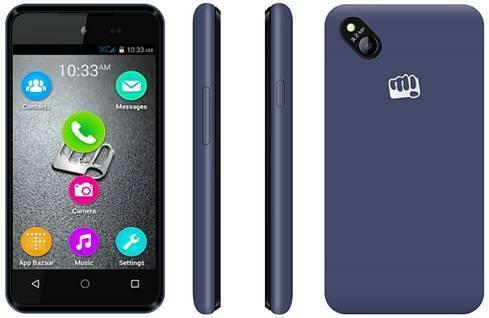 Micromax has partnered with FirstTouch Regional Mobile OS to offer regional languages across it’s newly launched phone, the BOLT D303. The BOLT D303 is the first smartphone in India to have complete support for multi regional languages, under 3K price segment. But before we move onto the details about the BOLT D303, let’s take a look at the key specs of the phone. The BOLT D303 comes pre-loaded with 10 regional languages powered by Firstouch. The all new Messaging Service with patented ‘Swipe’ feature of Firstouch, which enables you to translate and transliterate messages from English to Indian languages and vice – versa just with a simple swipe. You can write in your regional language and convert the message to English before sending, one can also type, chat or change the menu of their phone in their preferred language. It helps the users to type faster in their regional language using the patented Brahmic Keyboard of Firstouch with Matra and Word prediction with over 2 lakh words for each language. The device also comes with Firstouch App bazaar in regional languages which enables the users to download more than 10,000 applications in their regional languages and an intuitive Menu in regional languages with sound assistance and more. So, this is the main highlight of BOLT D303, now let’s move onto the specs. The BOLT D303 is powered by a 1.3GHz dual core processor coupled with 512MB of RAM. The phone has a 4 inch WVGA (480*800) display and runs Android 4.4 Kitkat out of the box. The BOLT D303 will be up-gradable very soon via FOTA from Micromax. The phone sports a 3.2 MP AF rear camera and also a front camera for selfies and video calling. In terms of connectivity it has 3G, Wi-Fi and Bluetooth. There is 4GB of onboard storage which can be further expanded upto 32GB via microSD. Priced at Rs 3499, the device will be available at all leading retail stores across the country in just one color, Blue. However, the phone is up for sale on various e-commerce websites. Just see the prices and click on your favorite shopping site to go there and place the order.